UBA team IIT Roorkee conducted the ICT (Information and Computer Technology) initiative in the villages Chharba, Puranpur and Chandpur. 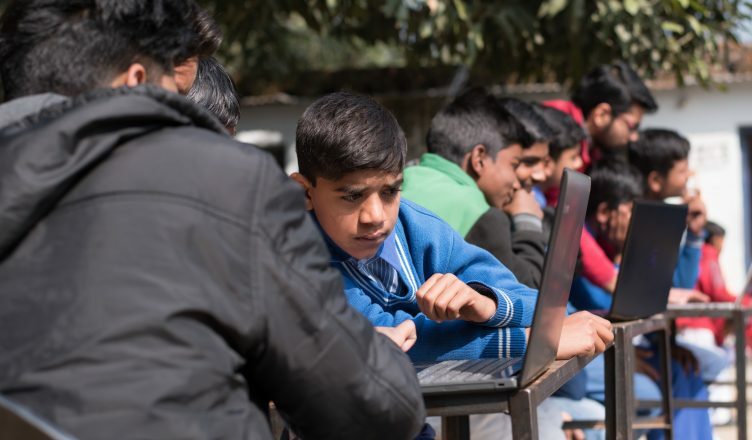 Under this initiative the team members imparted basic knowledge of software such as MS Office to the students of classes V to VIII by carrying out practical sessions. Students were also provided with handouts containing related information for future reference. Team UBA, IIT Roorkee started the inspire initiative with an aim to provide better knowledge and awareness in various fields to the students by demonstrating some inspirational activities like science experiments, motivational documentary and videos to students. But considering the fact that “Retention is best when learner is involved”, in iNSPIRE 2.0 the team thought to involve the students in doing experiments rather than demonstrating them how to do it. 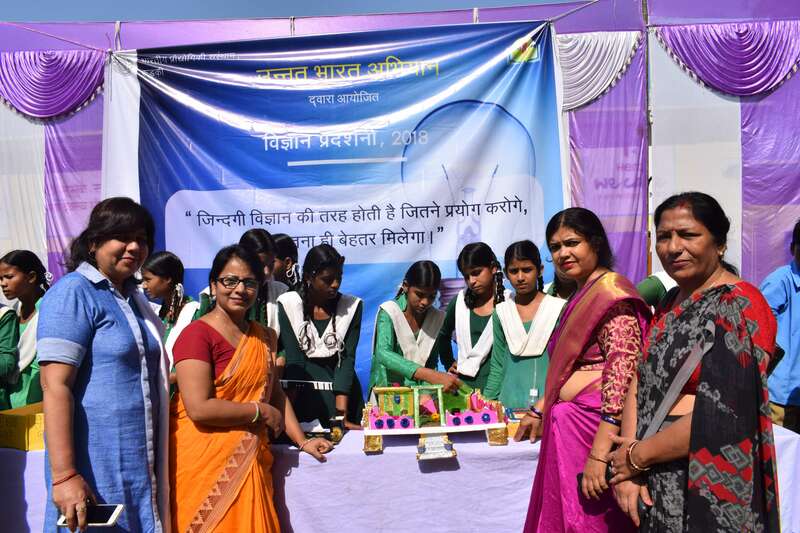 So, the team conducted a science exhibition for classes VIII, IX and X of Junior High School, Meerpur. The Science exhibition was conducted on October 02, 2018 and it received an overwhelming participation of more than 100 students. On October 13, 2018, 46 students from various classes were announced as winners and felicitated with prizes. Cattle are important asset for the human beings and a source of livelihood for many people. So considering their importance and lack of health facilities for regular cattle checkup in the village Unnat Bharat Abhiyan, IIT Roorkee organized a Cattle Vaccination programme in Puranpur Village of Haridwar District on October 20, 2018. 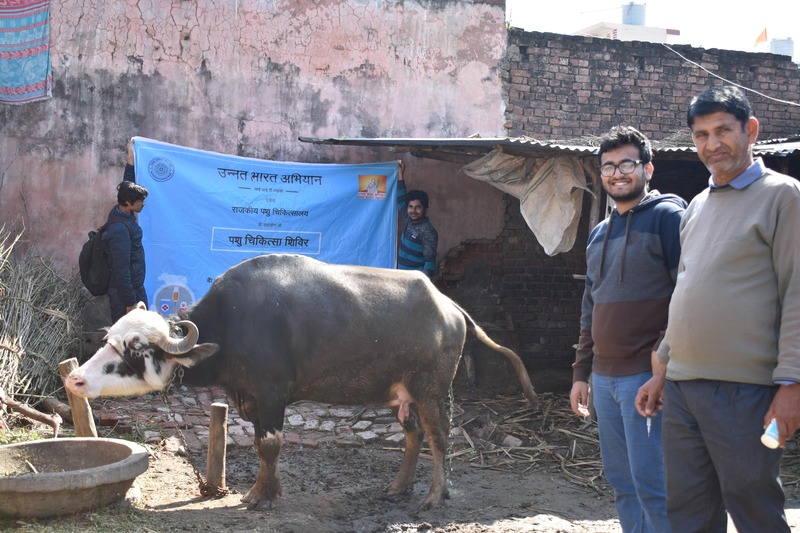 The aim of the programme was to provide free vaccination for cattle against Foot and Mouth Disease (FMD) which causes problems like fever and blisters on tongue and lips, in and around the mouth, and on mammary glands and around the hooves and production loss also. For conducting the vaccination drive the team collaborated with the government veterinary hospital of Bahadarabad. On 14 October, 2018 and 19 October, 2018, team members did promotion of the programme and collected the data on number of cattle to be vaccined. The vaccination drive was successfully conducted on 20 October, 2018 with the help of a team of doctors from government veterinary hospital. A total of 476 cattle were vaccined during the programme and the programme also helped in initiating the awareness on the need for timely vaccination of cattle. UBA team, IIT Roorkee started the pond restoration initiative in 2017 in the village Meerpur with an aim to make the pond available for villagers as a useful resource of clean water. 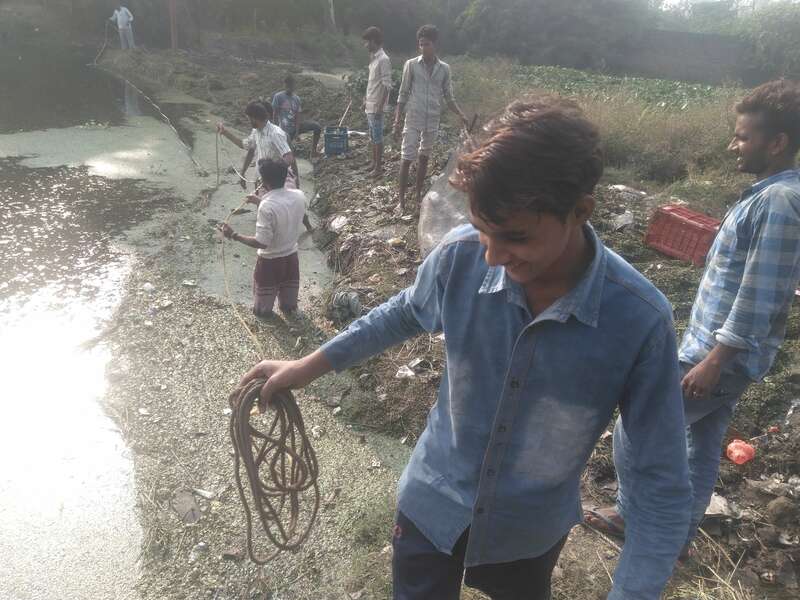 The team members observed that the pond was located in the center of the village and the villagers used it as a dumping point for household and agricultural waste. This led to the degradation of water quality and unhealthy surrounding for the villagers residing near it. So the team came out with this solution and contacted JM Enviro Technologies Pvt. Ltd. which is a multidisciplinary firm that offers turnkey solution of any sort of pollution problem related to water and solid wastes in terms of designing, manufacturing, installation, commissioning, operation and maintenance. Once the project started, team UBA regularly monitored the progress of the project by visiting as well as contacting all related persons. Water samples from the pond were tested and analyzed from time to time as decided mutually using the laboratory facilities of civil engineering department. For future considerations, the team also contacted Ms Moshimmi, a PhD scholar at IIT Roorkee, to analyze the water samples and device a long-term solution for the treatment of the pond. Energy saving has emerged as a critical economic issue and top priority for policymakers around the globe. So to promote energy efficient appliances Team UBA, IIT Roorkee started the LED initiative. Efficient light bulbs like LED bulbs consume only one-tenth of energy used by ordinary bulb to provide the same or better light output. To switch the people to LED bulbs would be difficult because of the high cost of installation of LED bulbs. Therefore The UJALA scheme is implemented by the Energy Efficiency Services Limited (EESL) in which LED bulbs and other LED appliances are provided to the domestic consumer at the 60% subsidized rate. Thus to avail the benefits of such schemes to villagers, team UBA came up with an idea of contacting the Uttarakhand Renewable Energy Development Agency (UREDA) department of Uttarakhand to provide LED bulbs and its appliances through mobile van at a subsidized rate. Team contacted Mr Amarjeet Singh, Deputy Chief Project Officer of UREDA who is in charge of UJALA scheme on April 1, 2017, and a mobile distribution van with two UREDA members- Mr Rajendra and Mr Raju, was arranged to accompany the student team in the initiative. The first distribution event took place on April 8, 2017 in the village Chharba and a total of 356 LED appliances were sold out. Thereafter, team has conducted various sessions of distribution and till now 716 LED bulbs, 20 LED tube lights and 23 ceiling fans are successfully sold under this initiative in the villages Chharba and Chandpur. 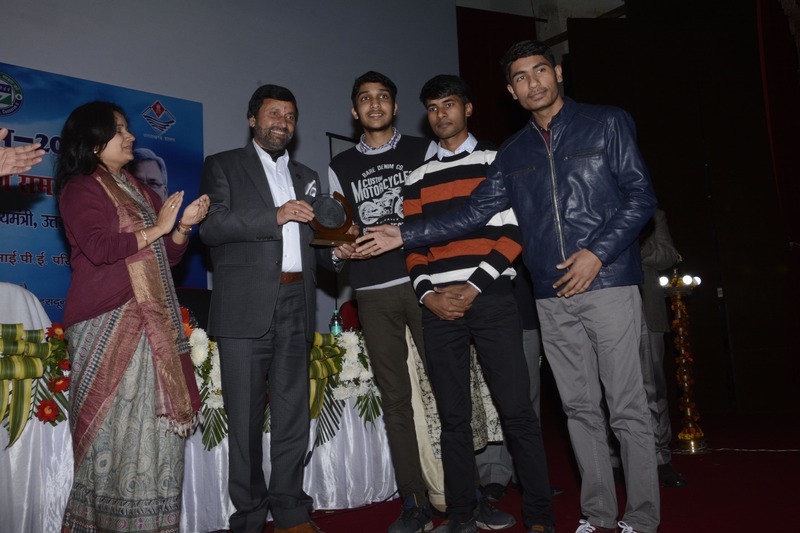 The efforts of the team were appreciated by UREDA on the National Energy Conservation Day on December 14, 2018, held at ONGC Stadium, Dehradun. The award was presented by Mr. Prakash Pant, honorable Minister of Finance, Excise, Drinking Water & Sanitation, Government of Uttarakhand.